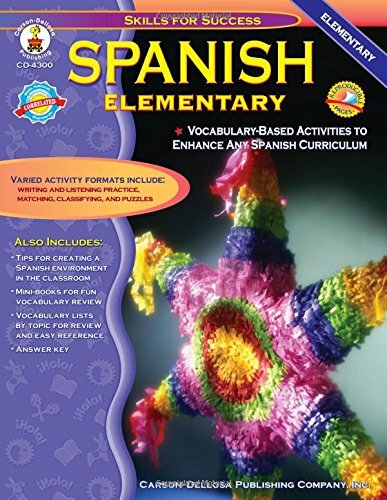 Have students use these activities on their own or in addition to any Spanish program! The exercises are presented in a range of formats designed to help students acquire everyday Spanish vocabulary. Vocabulary lists, reproducible storybooks, pronunciation key, and an answer key are all included. If you have any questions about this product by Carson-Dellosa Publishing, contact us by completing and submitting the form below. If you are looking for a specif part number, please include it with your message.